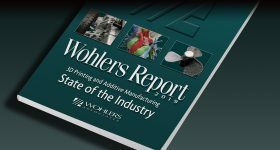 I spoke to Shawn Moylan, project leader at the U.S. National Institute of Standards and Technology (NIST), about 3D printing metal. From his lab in Maryland, he told me about the challenges for future engineers and scientists, the next steps for additive manufacturing with metal and the difficultly of measuring objects thinner than a human hair when they’re travelling at over a meters per second. 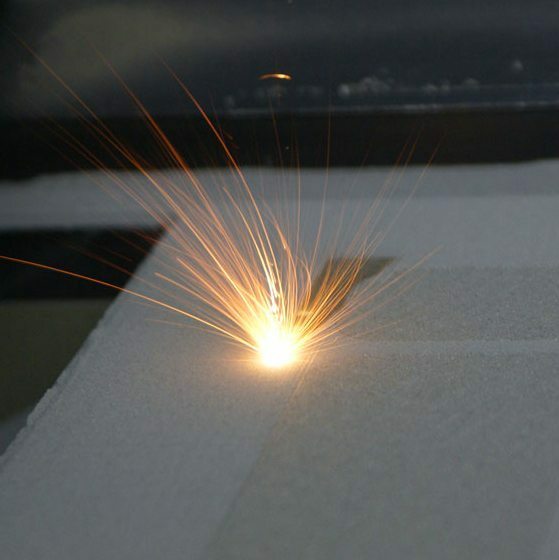 “I’ve always been interested in what’s new,” he says about working with additive manufacturing. As part of a group Moylan won best presentation at last years 26th annual Solid Freeform Fabrication symposium in Austin. 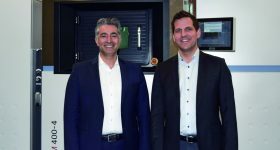 Individually he has received acclaim from America Makes, the National Additive Manufacturing Innovation Institute, where he is part of the roadmap advisor group. Moylan has worked in NIST’s Engineering Lab for just over a decade. Founded more than 100 years ago, NIST’s mission is to promote innovation and industrial competitiveness. The institute’s annual budget of $964 million means it can attract, and retain, some of the brightest minds in science. The NIST facility in Boulder, Colorado is where an atomic clock that sets the official time for the nation is kept. The development of this clock led to 4 NIST researchers receiving Nobel Prizes in physics. An EOS laser in action. 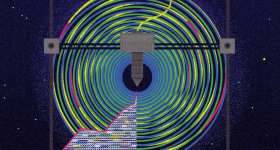 I asked the scientist how NIST first approached additive manufacturing, “we wanted to look at improving the speed from design to market and the agility of manufacturing processes as well as looking at some of the emerging technologies.” To do this the division managers, “got together at a retreat and looked at what we thought an appropriate smart manufacturing program would be.” NIST scientists then made proposals based on the resulting framework. “Most of the projects were designed to be five year projects and we are now a little more than halfway through year three,” he says. 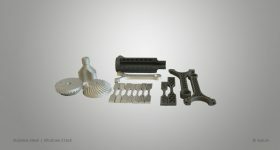 This long-term approach allowed NIST to, “Get in at the ground level” and “would let us do a lot of high impact work in a relatively short amount of time.” Improvements in additive manufacturing could enable mass customization and increase speed to market, and this will achieve NISTs mission goals. 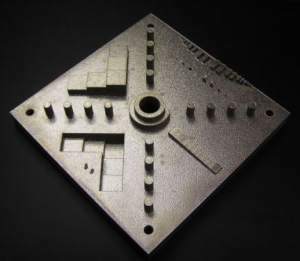 NIST develop tests to improve AM such as this artifact. final components. These responsibilities rest with the FAA and FDA for aerospace and medicine respectively. 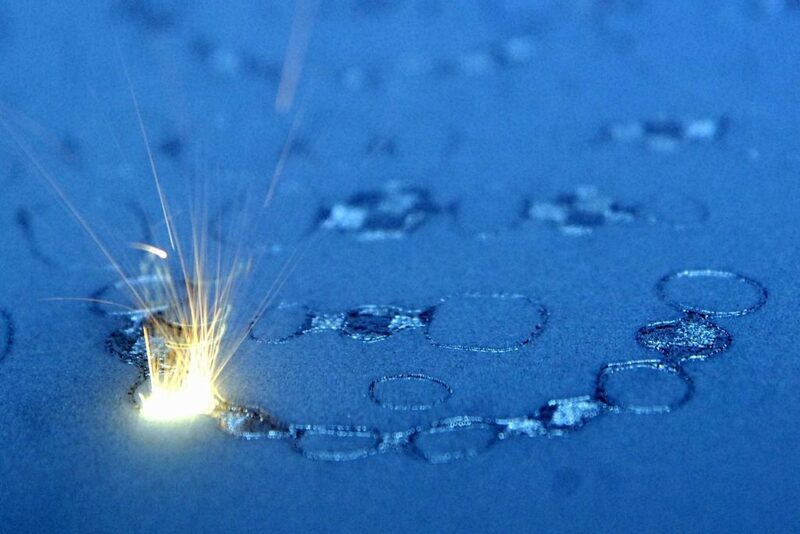 Laser SLS 3D Printing moves at approximately 1 meter per second. This is an area generating a lot of interest in both the academic and commerce community. A recent paper from Lawrence Livermore researchers discusses surface defects due to entrainment of particles by surrounding gas flow and how this contributes to structural flaws. 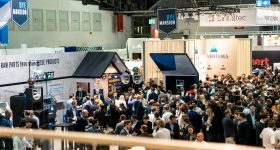 Whereas, industrial manufacturers are also working along similar lines to improve the processing performance of their machines. “A lot of what [LLNL are] doing is trying to gain a fundamental understanding of what’s going on in the physics of the process. Primarily through multi-physics high fidelity modelling.” Moylan explains that in that area, “Lawrence Livermore certainly have an advantage, because of their background in computational modelling and the infrastructure they have there.” The approach taken at NIST is designed to play to the institute’s specific advantages and compliment, rather than duplicate, the LLNL research. “We’re looking at it from a little bit of a different perspective,” says Moylan. “There are huge temperature gradients both spatially and temporally. 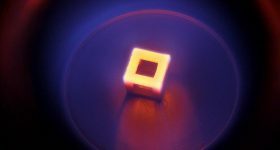 The laser is moving roughly a meter per second and it’s only a 100 or so micrometers in size,” explains Moylan. 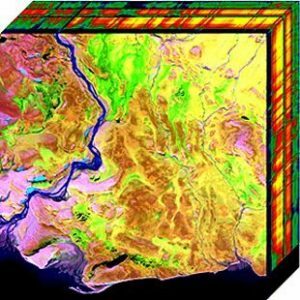 Hyperspectral image cube from NASA data. 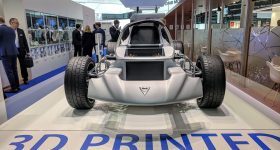 There seem to be a lot of projects working on improving additive manufacturing. 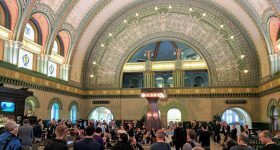 Some are public such as the LLNL/GE open source algorithm to be released in August as part of the America Makes program, others are private initiatives by SLM, SLS, EBM machine manufacturers. Even DARPA has an Open Manufacturing program. I ask Moylan if (and how) the different groups work together. Work at NIST is an important part of the America Makes AM roadmap. 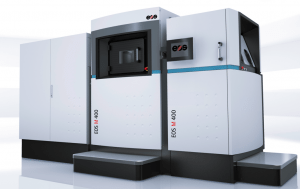 NIST use a range of metal printers, including EOS machines, during testing. 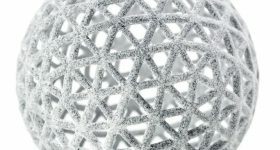 3D metal printing is where some of the most exciting developments and application of additive manufacturing take place. The aerospace and medical industries dominate the metal AM sector, when combined as a trillion dollar market they command a hefty clout. This is not to say advancements in these fields do not make an impact in other areas. For example, a 17 year old recently published instructions on how to build a DIY 3D metal printer. 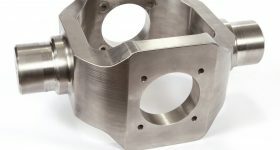 The metal additive manufacturing market is rapidly evolving and manufacturers have brought multiple technologies to market. And that is where innovation will come from.